Doctor of Chiropractic and specialist in Applied Kinesiology Dr. Robert Morrison answers the most common questions about Applied Kinesiology and demonstrates how it is used in practice. Is Applied Kinesiology the same as Kinesiology? What do A.K. doctors do? What is Manual Muscle Testing (MMT)? Therefore, if a muscle tests weak, does it mean that it needs to be strengthened with exercise? Why is it important to know how the nervous system is controlling a muscle? What information can be gained by testing muscles? How is muscle testing used? Why not just do x-rays, blood tests, or some other technologically advanced clinical exam? Aren’t they more reliable? 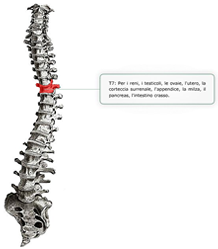 Besides headache and low back pain, are there specific examples of when A.K. is preferable to allopathic medicine? How are the treatment modalities of an A.K. doctor different from that of traditional medical doctors? What does the A.K. triangle represent? Is there a specific example of when all 3 aspects of the “triad of health” are involved? Where do health care professionals study A.K.? What is meant by the phrase “the body never lies”? I went to a Kinesiologist. Is this the same as Applied Kinesiologist? Applied Kinesiology (A.K.) is a method of diagnosis and treatment used by Chiropractors, Medical Doctors, and other health care professionals around the world. No. Kinesiology is the scientific study of human movement. Applied Kinesiology (A.K.) 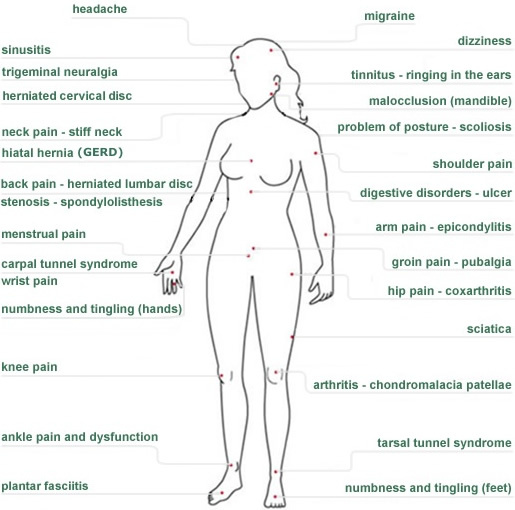 is a system of diagnosis and treatment used by health care professionals. In a nutshell, doctors using Applied Kinesiology evaluate the chemical, structural, and mental aspects of health by combining muscle testing and postural analysis with conventional methods. Applied Kinesiology is an open system that is constantly evolving, but fundamentally is integrates core elements of Chiropractic, Traditional Chinese Medicine, Osteopathy, and Clinical Nutrition. Manual Muscle Testing is a method of diagnosis. There are several ways in which it is used. A.K. doctors manually test individual muscles, asking the patient to “hold” or “resist” as they apply force in a very precise direction. A normally functioning muscle will “lock” against the doctor’s pressure. A muscle that cannot resist the pressure and tests “weak” indicates dysfunction either in the muscle itself, or in some other area that has a neurological association with that muscle. No. This is why the word "weak" is written in quotes. While exercise is beneficial in most cases, muscle testing is not about checking the raw strength of a muscle, rather it is an evaluation of the nervous system's control over that muscle. Each individual muscle has an associated organ or gland, acupuncture meridian, reflex points, nutritional substance, nerve, tooth, and vertebrae. A problem or imbalance with any one of these can usually be picked up with muscle testing. Example 1. If a patient presents with shoulder pain, the doctor may test individual shoulder muscles to verify which are functioning properly and which are not. Example 2. A single muscle may be used as an indicator to gauge reactions to stimuli. For example, a strong muscle may become weak when the doctor pushes a vertebra in a certain direction. This tells the doctor how to adjust that vertebra. Example 3. When a patient touches a specific point or area on the body, a weak muscle may strengthen or vice versa. This is called "therapy localization" and it tells the doctor many things, such as which point needs treatment, or wherein a specific problem lies, like an inflamed tendon or a problematic tooth. Example 4. Strong muscles may become weak when noxious food or vitamins are placed on the tongue. Conversely, weak muscles may strengthen when the appropriate nutrient is placed on the tongue. Combined with other clinical exams, this is extremely useful for determining which foods or vitamins may harm or help a patient. Example 5. Emotional responses can be assessed with muscle testing. 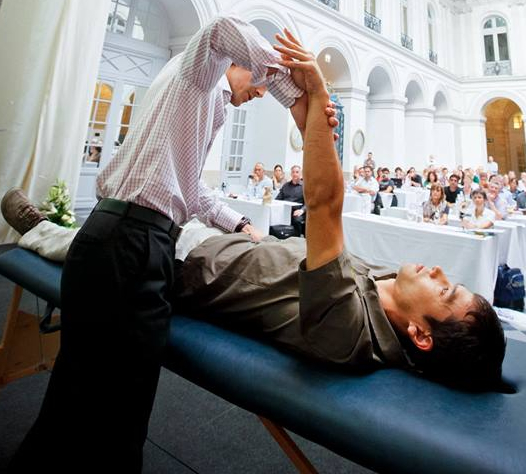 For example, muscle strength can change dramatically when a patient visualizes certain situations, events, or people. Even verbalizing certain words or phrases can alter neurological control over muscles. Example 6. Finally, the doctor uses muscle testing to verify the outcome of specific treatment procedures. For example, muscles that tested weak will usually test strong once the proper therapy has been applied. In some cases yes, in other cases no. As a rule, A.K. does not substitute clinical exams, rather the two are used in conjunction. Generally speaking, clinical exams are designed to detect frank pathology. Muscle testing can also detect frank pathology, but its uniqueness lies in the fact that it can pick up problems before they've arrived at full-blown pathology. For example, many suffer from chronic headache or back pain, and travel from doctor to doctor, undergoing test after test, only to be told that there is nothing wrong with them because the tests don't show anything. Or worse still, the tests may show something which really has nothing to do with their symptoms, but their symptoms are blamed on those findings nevertheless. Consequently, harmful, not helpful medications are prescribed along with misguided therapies, and time and money is wasted. Applied Kinesiologists use a different approach, and ferret out problems directly by using muscle testing and other procedures. The true causes of problems like headache or back pain are addressed in their early stages, intervention is swift, and bigger problems are prevented. There are countless examples. Let's use hypoadrenia, an extremely common condition that goes largely unrecognized by the medical community. The adrenal glands produce adrenaline. When a person is stressed, these glands get depleted, and begin to under function. For an allopathic doctor, hypoadrenia is only significant when it arrives at full-blown Addison’s disease. For an Applied Kinesiologist, hypoadrenia has relative stages. In the early stages of hypoadrenia, a person may just feel tired all the time. If nothing is done about it, they may begin to suffer low back or knee pain, or they may have tired feet and ankles halfway through the day. Or maybe they'll experience digestive problems or lightheadedness. While the root causes of all of these symptoms are depleted adrenal glands, a traditional medical doctor would never recognize this because they are not looking for it. As long as there is no diagnosis of Addison's disease, there's no problem with the adrenal glands. Compounding the problem, the patient will usually get palliative treatment to the areas causing pain, the knee, the low back, or the digestive symptoms, and all the while, the underlying cause - hypoadrenia - hasn't been addressed and is bound to cause even greater problems. An A.K. doctor would diagnose hypoadrenia in the early stages because the examination process is thorough and structured to detect such a condition. Caught early on, a patient will be on the road to recovery before more serious problems set in. If a patient presents to a traditional doctor with dizziness, the most likely outcome will be a prescription for medication to suppress symptoms. While this may provide short-term relief, all medications have side effects. Furthermore, by suppressing symptoms, the root causes are left unaddressed and are therefore likely to re-surface in an even more debilitating form. Doctors using A.K. are not satisfied with short-term relief, They aim instead to arrive at the origins of their patient's problems. When there is dizziness, there are usually muscle imbalances in the neck. Conventional exams would never show this because they are not designed to, however, A.K. procedures would. Subsequent treatment modalities used by Applied Kinesiologists are all natural, non-invasive, and lasting. Like the perfect triangle, good health depends on keeping an equilibrium between one’s chemical, structural, and emotional states. If one side of a triangle is off balance, the whole triangle will be affected. The same is true of our state of health. A person with low back pain may have an unlevel pelvis, causing misaligned vertebrae and a herniated disc (structure). This same person may also suffer from blood sugar handling problems (chemical), and be under emotional stress (mental). Quite often it isn't clear if there is one root cause, or whether all three factors emerged simultaneously. For this reason, A.K. doctors assess and treat all three factors: structural, chemical, and emotional. What is the educational status of an A.K. doctor? Applied Kinesiology is performed by health care professionals licensed to diagnose: Chiropractors, Medical Doctors, Dentists, and Osteopaths. These health care professionals use A.K. as an adjunct to their existing specialty. A.K. is taught in private, post-graduate settings, and there are different levels of certification. The highest attainable level is D.I.B.A.K., which stands for Diplomate of the International Board of Applied Kinesiology. For one to become a "Diplomate," they must have a professional license to diagnose, undergo 300 hours of A.K. instruction, do research, and pass rigorous examinations. Technically no, although even many true "Applied Kinesiologists" often call themselves "Kinesiologists" or "Clinical Kinesiologists" for the sake of simplicity. Confusion arises when non-professionals claim to be Applied Kinesiologists because they use something that resembles Applied Kinesiology. The body has its own language that will guide us to the origins of pain and other health problems. The competent doctor understands how to decipher this language, and respond by providing patients with what they need. Apart from utilizing the conventional protocols of laboratory, orthopedic, and neurologic testing, Applied Kinesiologists are masters at interpreting body language via manual muscle testing, posture and gait analysis and other non-conventional methods.